Are fats really as bad for you as we've been lead to believe? For most of us, when we hear the word 'fat' we automatically visualise the excess layers we may be carrying, greasy foods or overweight people and along with that is a generally negative emotion. This is associated with the hype and advertising that has hailed fats as being ‘bad for you’, ‘the cause of high cholesterol’, ‘the cause of your weight gain’ etc. For many years the belief has been that the fat you eat automatically becomes fat on your body! However, fat is one of the essential macronutrients that we need to function and like the carbs, there are good fats and bad fats. A source of energy rich fuel: When carbohydrates are unavailable our bodies will use the fat that is stored as a source of energy. Provision of cell structure: Fats (specifically phospholipids, triglycerides and cholesterol) make up the membranes of our cells. Fats are also vital for the production and maintenance of red and white blood cells as well as the regulation of some hormones. Insulation and protection: Layers of fat around our vital organs provide protection while fat stored on the body provides insulation and warmth. Vitamin absorption and storage: Some essential vitamins (vitamins A, D, E and K) are fat soluble which means fat must be present for them to be transported around the body and for the our bodies to absorb them. Sources for trans fats include processed food products like doughnuts, biscuits and cakes. Generally originating from animals (including dairy), these fats are used mostly for energy, storage of vitamins and insulation. They contribute to high LDL (low-density lipoprotein) levels (the ‘bad’ cholesterol) and have been associated with heart attacks and strokes. It is recommended to maintain low levels of saturated fats in your diet. These fats are solid at room temperature. Monounsaturated Fats. Monounsaturated fats are generally liquid at room temperature. These fats can help lower your LDL cholesterol and are vital in the maintenance of your cells. Polyunsaturated Fats. Polyunsaturated fats also contributes to a lowering of your LDL cholesterol. 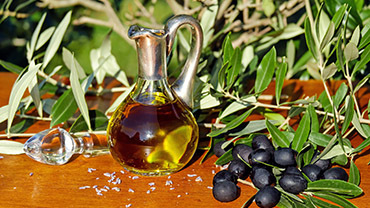 Polyunsaturated fats include omega-3 and omega-6 fats which are essential fatty acids. These are the only fatty acids that your body can't produce itself and need to be sourced from foods! Trans-fatty acids are not naturally occurring fats. They are the result of a process called hydrogenation which helps liquid fats remain solid at room temperature. They are used in many processed foods such as doughnuts, biscuits and cakes to help maintain their shape and extend their shelf life. Trans-fatty acids can increase the risk of cardiovascular disease since they increase LDL cholesterol and lower HDL (high-density lipoprotein - the 'good' cholesterol)! Generally when we are talking about fats, we are more concerned with the upper limit rather than not eating enough! Fats are high in calories compared to protein and carbohydrates, so over-consumption can lead to weight gain. You should aim to ensure that total fats consumed make up no more than 20-35% of your total energy intake, you consume no more than 10% of your total energy intake as saturated fats and you should avoid trans-fats! Exclusions to this include infants, underweight people, lactating women and the elderly who require a higher fat intake.